Founded in 2009, AppleCore is one of the Chinese Science Fiction and Fantasy fandoms with a relatively long history. In May 2009, the idea of holding a University Science Fiction & Fantasy Festival in Shanghai and inviting writers to participate was discussed among the members of Science Fiction Association of Fudan University. Three other university SF clubs in Shanghai were contacted, and they agreed to join the effort. The names of those clubs are: Science Fiction Association of Shanghai Jiao Tong University, Starry Fire SF Club of University of Shanghai for Science and Technology, and The Ally of Sun-chasers – SF Club of Tongji University. All the four university sf clubs formed a new committee and reached an agreement to organize an event similar to the 1st Shanghai SFF Forum held in Tongji University In June 2007. Reasonably, the upcoming event was denominated as ‘the 2nd Shanghai Science Fiction & Fantasy Festival’. In July 2009, it was reported that a total solar eclipse would be observable in the Yangtze River Basin, which was quite rare for the region. Scientific Squirrels, a popular science organization in China, set up an observation camp on a farm in the suburbs of Shanghai. Considering that many sf fans were also enthusiasts of astronomy, it would be a good opportunity to win support from various groups of people. So the newly formed committee decided to organize this event with Scientific Squirrels in a joint effort. Although the solar eclipse was obscured by the rains and the clouds, it was a successful exercise for building contacts. Then it was the slow season of summer vacation, during which not much was happening except for the drafting of a rough proposal. The first meeting that promoted real progress was held in early September, when the new semester began and everyone was back from hometown or field work. In this meeting, the overall plan for 2009 Shanghai Science Fiction & Fantasy Festival was settled. According to the plan, each of the four university sf clubs would organize an event in its own campus. Another meeting was conducted on Oct 11, 2009, to fulfil the idea of establishing a SF union in Shanghai. There were several choices for the name of the new fandom, such as Ke Ai Meng (可爱萌, Cute and Moe or 科幻爱好者联盟, Union of Science Fiction Fans) and Ephemera Association (蜉蝣会). Finally, SF AppleCore (科幻苹果核) stood out as the winner. Apple is the fruit of wisdom. Newton was inspired by a falling apple for the understanding of gravity. Allen Turing bit a poisonous apple to commit suicide. Apple has many connections in meaning. Meanwhile, “core” can be interpreted as the core of science fiction, core of imagination, core of science and core of fans. After that, the members of the newly founded fandom devoted themselves eagerly to the impending SFF Festival. The festival lasted for about one month, with a variety of activities in all the four universities at weekends. FDU held the opening ceremony, SJTU were responsible for the movie screening, USST hosted a contest of debate and TJU organized a meeting with editor-in-chief of Science Fiction World Magazine and concluded the festival with a closing ceremony. Apart from these independent events, a series of competitions were carried out in the campus of the four universities. Each of the universities had built its own team with about four members. Those teams would participate in a live-action role playing game in one of the other three universities excluding their own. That means each university had to design a game with plots and tasks to be played out on campus. The background story of the game was set in the city of Shanghai, which was in danger of being destroyed by SFF writers, so the fans had to save the city by winning the game. The first round of the game took place in Fudan University after the opening ceremony. Of all the four rounds, this might be the most special one because the SJTU team was set up to compete with a guest team composed of the SFF writers and editors who had attended the opening ceremony. The two teams were assigned with different tasks and led to different routes. They could purchase clues with rings and get rings when completing a task. Most of the guests were from the magazine Odyssey of China Fantasy, the contents of which were closely based on the settings of an original Chinese fantasy world – Novoland. To honor their participation, the plots of the game were designed to bespoke strong ties with Novoland. Running around the campus seemed to be one of the challenges. A video was compiled out of the recordings during the four rounds of the game by Zhang Zilong. The closing ceremony of Shanghai Science Fiction & Fantasy Festival in Tongji University turned out to be a great success. Many big names in Chinese science fiction and fantasy attended as guests, for example, Wang Jinkang, Han Song, Chen Qiufan, Chu Xidao, Ming Ling, A Tun, Jun Tian, Pan Haitian, etc. The founder of Scientific Squirrels and Guokr.com, Ji Shisan also appeared in the event. The hostess of the ceremony was Ji Shaoting, who would become the bid chair of the Beijing 2016 Worldcon bid a few years later. Outside of the ceremony hall, a small market place was set up, where fans could purchase T-shirts, calendars and books, or win small gifts by answering quiz questions. Since then, AppleCore has strived hard to accommodate this annual event in each and every year and managed to do so from 2009 through 2014, except in 2010. The festival is usually in May, except for that in 2009 it was in November and December. Up to Mar 2015, there are seven university sf clubs in Shanghai: Science Fiction Association of Fudan University, Science Fiction Association of Shanghai Jiaotong University, The Ally of Sun-chasers – SF Club of Tongji University, Parallel Universe Science Fiction Club of Donghua University, Shanghai University Science Fiction Society, Shanghai Maritime University Fantasy Star SFA and Science Fiction and Fantasy Literature Club of Shanghai University of Traditional Chinese Medicine. During all these years, AppleCore is growing larger and stronger. Nowadays, it is more than just a union of university sf clubs. Since Oct 2013, AppleCore has started a monthly gathering program in Shanghai – AppleCore Party. Fans come along to take part in lectures, movie screenings, panel discussions or other activities in the afternoon and then have dinner together. The essential idea is to get science fiction and fantasy fans together, providing them the opportunities to socialize and learn knowledge. Principally, the targeting participants of AppleCore Party are fans who have already graduated from school and work in Shanghai, but students are also welcomed. The gathering is open to everyone with free admission. Attendants only need to pay for their meals if they choose to stay until dinner. In Nov 2014, another programme, AppleCore Reading Group, was kicked off. Members are encouraged to read a specific book every month and meet to discuss about it. There are supposed to be two meetings in a month, one in the university and one outside. The consensus is that the book club will start within a limited circle of members and gradually extend to a larger group. AppleCore also co-organize events with Shanghai Science & Technology Association. Those events are usually more formal and serious, facing a larger audience and bearing the official function of science popularization. 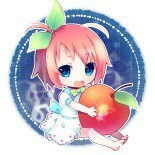 Furthermore, AppleCore has a cartoon endorser – the APC Girl, a cute girl holding an apple with crystal core. Her image appears in different situations and on various products designed by AppleCore. In some important events, such as the Chinese Nebula Award Ceremony, a real APC Girl might even show up. As a fandom, ApplceCore is still young, but working hard to grow up, and hopefully, when the time is right, AppleCore will try to bid for the World Science Fiction Convention, to bring this world-wide event for Science Fiction fans to Shanghai.